The fourth major installment in a bestselling TPP action-adventure game series. The game was developed by Ubisoft Montreal in cooperation with other Ubisoft’s inner studios. The main story in Assassin's Creed IV: Black Flag is set in 18th century. The series of Assassin's Creed is one of the most popular brands in the Ubisoft portfolio. Keeping a 12-month-long publishing rhythm, the company decided to release the next complete part one year after the launch of Assassin's Creed III. Again, Ubisoft Montreal was assigned to develop the game with the help of other teams (including Ubisoft Shanghai, Ubisoft Sofia and Ubisoft Montepllier). The protagonist of Assassin's Creed IV: Black Flag for PC, X360 and etc. is Edward Kenway (grandfather of Connor Kenway who appeared in Assassin's Creed III), Welsh pirate living in the 18th century who pretending to be an assassin, learns about a legendary Observatory, enabling to observe every living person. Greedy filibuster decides to keep the secrets of the Observatory for himself, thus becoming a part of the ancient conflict between the Templars and the Assassins. The action takes place on the Caribbean, a year after the War of the Spanish Succession (1701-1714), during the golden age of piracy. As in the previous games, the creators managed to include authentic events and characters in the plot. Players can meet e.g. Edward Teach (Blackbeard), Benjamin Hornigold, Calico Jack Rackham, Anna Bonny or Charles Vane. The game world is divided into over 50 unique locations. The most important of these are the three major cities – Kingston, Havana and Nassau, each representing a different architectural style. There are also small fishing villages, sugar plantations, hidden bays and ancient ruins. The main protagonist can sail the seas due to his own ship – Jackdaw, which can be upgraded throughout the game (e.g. you can add ram, reinforced hull, and canons). Standard gameplay elements (e.g. acrobatics and spectacular duels) familiar to fans of the series have been improved with several innovations. One of them is diving skill that enables to explore the wrecks. The changes were also applied to the sea battle system, in particular opponents’ AI. The combat mechanics is based on solutions applied to AC III. Apart from standard hidden blades, the protagonist can use cold weapon – sabers, broadswords, etc. and up to four guns. Again, apart from the main campaign, the game offers extensive multiplayer mode with numerous maps and characters you can play as. The most important new feature is Game Lab, a tool that enables modifying over 200 different game parameters and thus creating custom versions of multiplayer modes. Moreover, Wolfpack co-op mode is now a separate multiplayer module called The Wolfpack Experience, including its own story and additional features. Assassin's Creed IV: Black Flag on PC, X360 and etc. uses AnvilNext engine tested in Assassin's Creed III and Assassin's Creed III: Liberation. It offers high-quality visuals with lots of details and natural-looking animation of characters and objects. 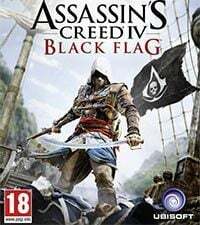 Guide to the Assassin&#8217;s Creed IV: Black Flag contains a complete description of the main storyline walkthrough with all secondary missions. What is more, you'll find here a list of ship wrecks and treasures with a map to localize them easier.